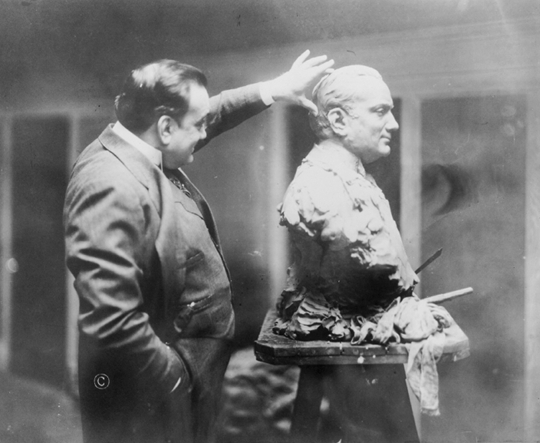 When he died in 1921 the singer Enrico Caruso left behind him approximately 290 commercially released recordings, and a significant mark upon the opera world including more than 800 appearances at the New York Met. John Potter, singer and author of Tenor: History of a Voice, explores Caruso’s popular appeal and how he straddled the divide between ‘pop’ and ‘classical’. Ben Watt (Everything But The Girl), from ‘The Night I heard Caruso Sing’, Idlewild. Every generation seems to reinvent the tenor as something closer to a pop star than an opera star. The Three Tenors were among the late 20th century’s great musical marketing successes, and the brightest star that they acknowledged in the tenor firmament was cinema heart throb Mario Lanza. Lanza himself claimed Enrico Caruso as his greatest influence and famously played him on screen, reminding a wider audience that there was nothing incompatible with classical tenors and genuine popularity, whatever they were singing. Although many fine divas stamped their mark on early recording, it was the tenor voice of Caruso which was the defining voice of the early twentieth century. His reputation was due to the fact that people could not only hear him in their own homes, but that his success could actually be measured in record sales; he was the first global superstar of the gramophone era. Such celebrity wasn’t new in what we think of as classical music, however, it was not uncommon in the nineteenth century for opera singers (such as Adelina Patti or Giuditta Pasta) to meet with the kind of reception we associate with pop stars. The fact is, there was no equivalent of today’s mass popular music – and nothing like today’s classical (in the sense of unpopular) either. Popular entertainment took a huge variety of forms from conjuring to celebrity whistling but singing was in the end just singing, and the best singers were opera singers largely because they had the best tunes. They all shared a basic level of vocality: even a vaudeville personality had to have voice enough to carry right to the back of a theatre: crooning and the intimate nuances enabled by the microphone were still in the future when Caruso died in 1921. Three years earlier he was at the height of his fame. His many triumphs in 1918 included a Carnegie Hall debut (at one of several hugely successful find raising galas) and recording the patriotic song ‘Over There’ which would become the best selling recording by an opera singer for generations to come, putting him alongside Al Jolson as one of the century’s most successful recording artists to date. 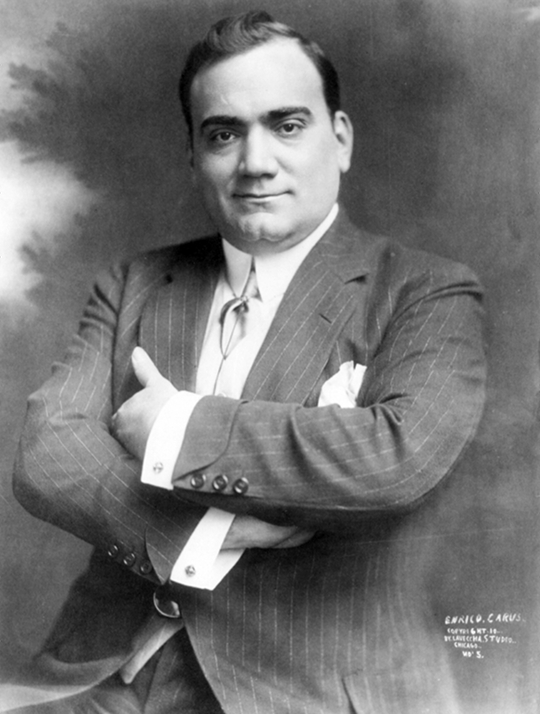 ‘Over There’ was certainly not an opera aria, and although Caruso was practically resident at the Metropolitan Opera for seventeen years his best selling records were actually lighter music such as Neapolitan songs and ‘Italian airs’. It was his voice that his public wanted, and they’d buy into whatever he chose to record. That same year Al Jolson did a recital of his own songs with the 50 strong Boston Symphony Orchestra, having a month or two earlier followed Caruso on stage at a marathon concert in New York sponsored by the Army Tank Corps Welfare League in aid of returning soldiers. It was the first time Jolson uttered his famous catch phrase ‘You ain’t heard nothin’ yet’, a response to Caruso’s rousing performance of Italian war songs culminating in a rendering of ‘Over There’ which had brought the house down. The two singers, both European émigrés who had conquered America, were then probably the most successful singers on earth. Although Jolson the entertainer and Caruso the opera singer inhabited different musical worlds, there were clearly circumstances where their respective arts could appeal to similar audiences and even happen at the same venue. Both singers’ biographers tend to be rather reticent on the connections between these two great stars, but we know that they appreciated each other’s place in the scheme of things, and even each other’s singing. 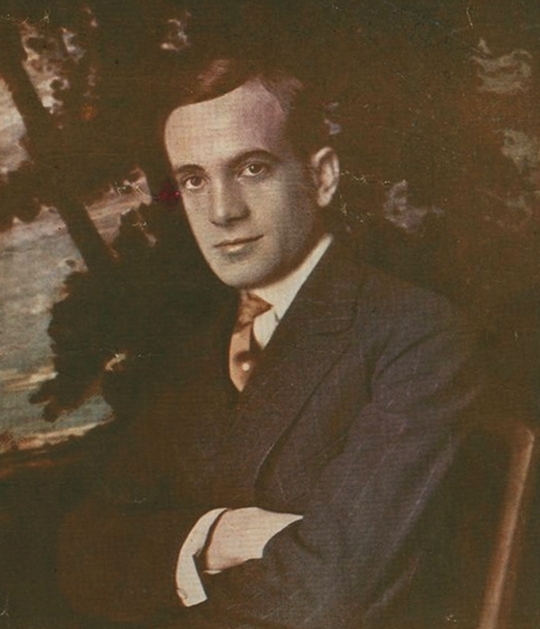 After their performances for the Tank Corps, Caruso invited Jolson back to his hotel room, and is said to have suggested they sing together at the Met. He may have been joking of course, and Jolson knew he wasn’t himself an opera singer, but the fact that he could make himself heard over a 50 piece orchestra shows that Jolson would have had no problem with the vast acoustic space of the world’s most famous opera theatre. Jolson and Caruso duetting on the opera stage is not as improbable as it might seem (had they been able to agree on what to sing): two months later the erstwhile vaudeville artiste Rosa Ponselle made her Met debut opposite Caruso himself in Verdi’s La Forza del Destino. Vaudeville singers at the Met? Caruso able to duet with someone who called himself a jazz singer? How could such things possibly happen? Before amplification divided singers into those who were proper singers and those who might not be, all singers had to make themselves heard at the back of the hall, whether they were opera singers, vaudeville entertainers or blues shouters. That’s why so many ‘popular’ singers recording at the beginning of the 20th century sound so stilted and stylised – to project their voices a long way they had to sing with their larynxes lower than in normal speech. That maximised their acoustic efficiency and as a by-product gave them the richer sound that we now associate with classical singers. If they were singing in English it also generated the deeper vowels associated with Received Pronunciation (the non-regional accent sometimes called BBC English). Caruso and Jolson, faced with having to fill a vaudeville theatre or an opera house with sound, inevitably adopted a similar technique: there was no other way to sing in large theatres or halls, so they had much more in common vocally than, say, Placido Domingo and Sting. Many people would have bought both singers’ records and may not have been very conscious of the different genres that they were later seen to represent. The idea of music being categorised as ‘popular’ or ‘classical’ would have meant very little to the man on the famous Clapham omnibus. 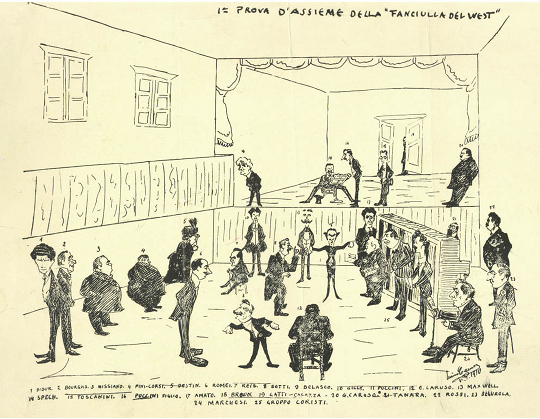 Caruso didn’t see a big difference between a Puccini aria and a Neapolitan folk song – they were both ‘popular’ and likely to appear beside each other in recital programmes. Verdi and Puccini knew, as composers for generations before them had known, that the secret of a successful opera was to hit the punters with a stand-alone stonking good tune every now and again, a format which supported a huge sheet music industry and the burgeoning record business. For every person who heard an opera at the Met or Covent Garden, there was a potentially infinite number of record buyers or people who would sing the arias round the piano at home, alongside the ‘popular’ songs of entertainers such as Al Jolson. Jolson was aware that opera was of sufficiently high status to make it worth satirising, as in his hilarious (at the time) Pagliacci sketch. He knows exactly how opera singing works (he was the son of a cantor, who hoped for greater things from his absurdly ambitious offspring) but he surely understood that he could really only play one role: that of Al Jolson. Caruso was a huge success in many (carefully chosen) roles but his more serious repertoire didn’t give him many opportunities to shine simply as an entertainer. But that didn’t stop him equalling Jolson in popularity. It wasn’t just patriotic songs and Italian lollipops: the big tunes that came out of the realistic plots and less cluttered singing of verismo opera were enormously successful too. In the first quarter of the 20th century (roughly between the first recordings and the first radio broadcasts) the worlds of what we now think of as the classical and popular were still tantalisingly close, with the difference between singers of the calibre of Caruso and Jolson often just one of repertoire and a certain sort of public engagement. As the century progressed they would become increasingly polarised: composers, divorced from private patronage but often indirectly supported by the state, could indulge in the luxury of writing music that very few people wanted to hear, while the microphone rendered over-blown natural vocal projection unnecessary for those excited by the possibilities of a more subtle vocal delivery. Opera singers retained their stylised vocality with its inevitable loudness, growing in status but contracting in reach with each generation. The mass audience that had been there for Rossini and Verdi preferred the immediate emotional hit provided by crooners, a direct mouth-to-ear experience which they could enjoy with friends at home rather than brave the stratified world of the opera house; ‘classical’ came to mean the opposite of ‘popular’. Caruso would know nothing of this: he would continue to sing from beyond the grave, but increasingly on the wrong side of the growing divisions between the two genres. The 21st century is beginning to see (and hear) things differently, though, and many of us now take a broader view of Caruso’s art and achievement. ‘Over There’ has even been plundered for a TV commercial (which I’m sure Caruso would have enjoyed), but Ben Watt comparing the great tenor with Elvis Presley is a sign of more enlightened times. 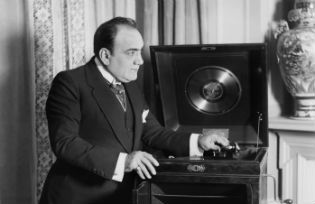 The digital age gives us unfettered access to the whole of music, unfiltered by snobbery and tradition, and perhaps Caruso can be released from the stale old classical ghetto: in his time he was indeed as good as Elvis. John Potter is the author of Tenor: History of a Voice (Yale University Press 2009 & 2010). His latest book, A History of Singing , jointly written with ethnomusicologist Neil Sorrell, is published this month by Cambridge University Press. A former member of the Hilliard Ensemble, he records for ECM (the Dowland Project) and Hyperion (Red Byrd and the Conductus Project), with new releases on both labels later this year.